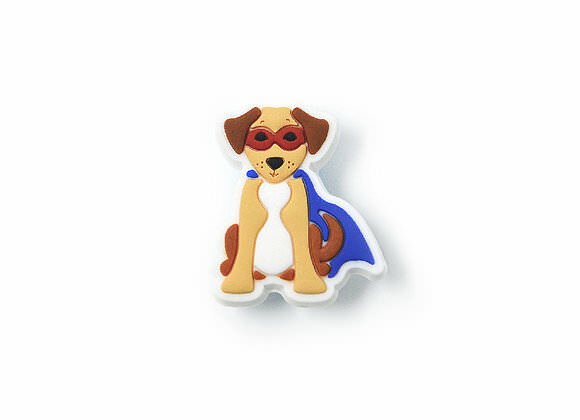 Super Bailey is a brave superhero dog who you can always count on. 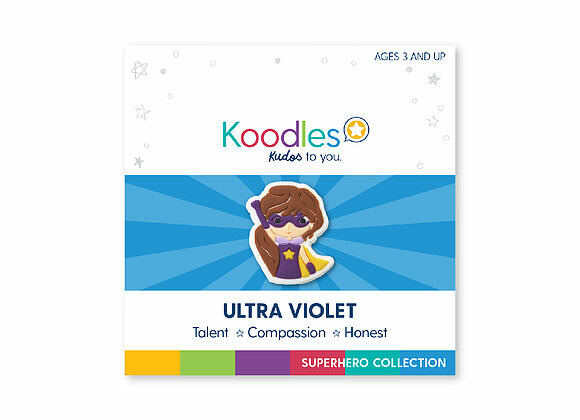 Koodles are the perfect way to say “Kudos To You!” They are fun to give, share and collect! Each Koodle has their own unique traits and personality. 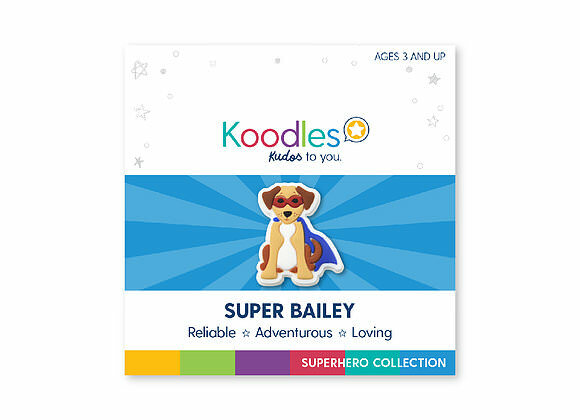 Kids love how each Koodle comes with a collectable card! 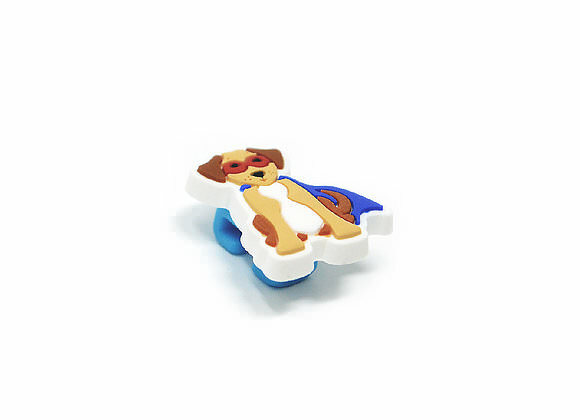 Koodles clip onto any Koodles accessory so kids can proudly display them however they choose. 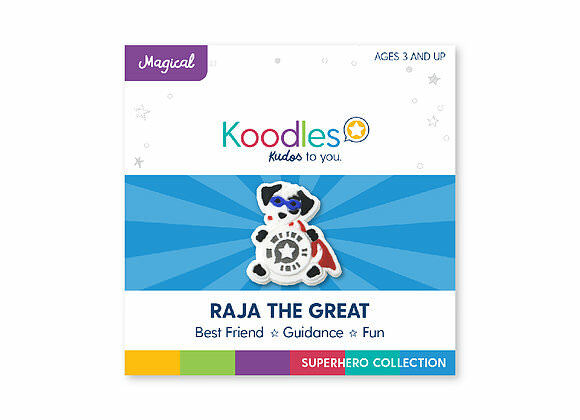 Give the gift of praise and positivity with Koodles. Parents love to give them, kids love to collect them! 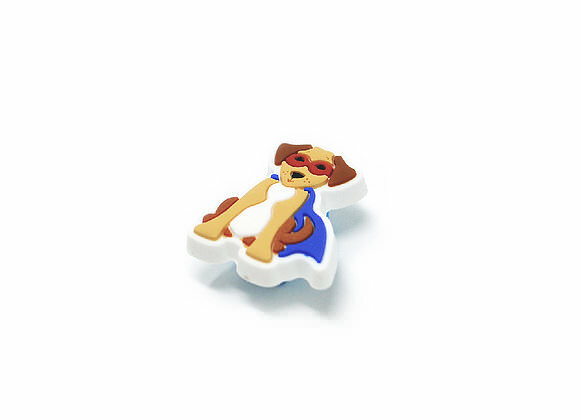 Safety Tested For Ages 3+ Kid-friendly, non-toxic BPA & Phthalates free Warning: Choking Hazard – Kudo Banz contain small parts and are not intended for children under 3 years old. Fun: Koodles are fun to give, share and collect! Unique: Each Koodle has their own unique traits and personality. Match Koodles with your child’s traits and accomplishments! Positive: Koodles are a fun and easy way to give kids positive reinforcement. Collect them all: over 50+ Koodles to choose from! 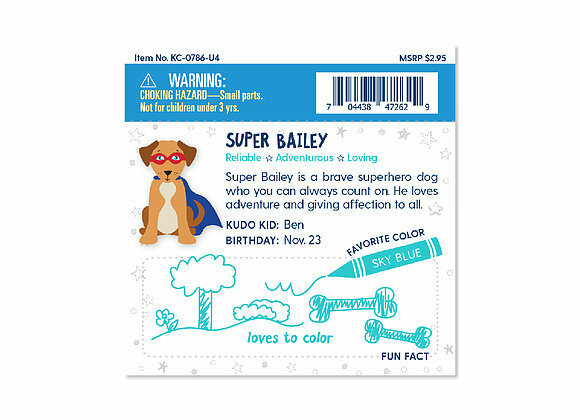 Warning: Choking Hazard – Kudo Banz contain small parts and are not intended for children under 3 years old.